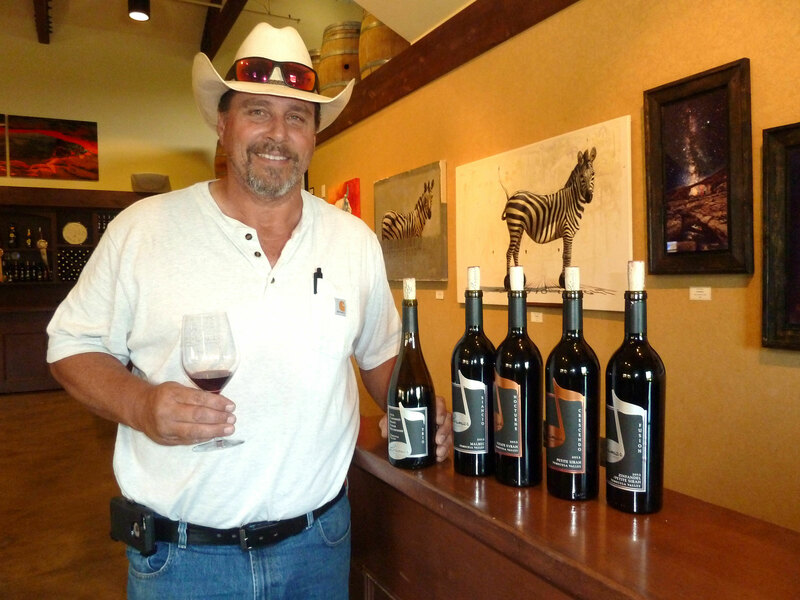 It seems 2015 may be the inflection point for the wineries of Temecula Valley. There is a new spirit in this embattled valley, currently home to some 36 hard working names that are determined to get state, national and international respect. In fact there is so much that’s attractive for visitors to the valley, let’s call this issue one of two columns. That’s necessary to cover new developments in this wine country that five counties in Southern California visit, about 20 million potential wine visitors, for a day trip to Temecula! The Temecula Valley AVA, as we know it today, became effective in 2004 with 33,000 acres. Some 1,300 acres are planted in commercial vineyards, while 5,000 acres are located and protected in a “Citrus/Vineyard” zone in and around Rancho California Road with strict guidelines set by Riverside County. Through grit and determination, several projects and improvements are making 2015 a banner year. 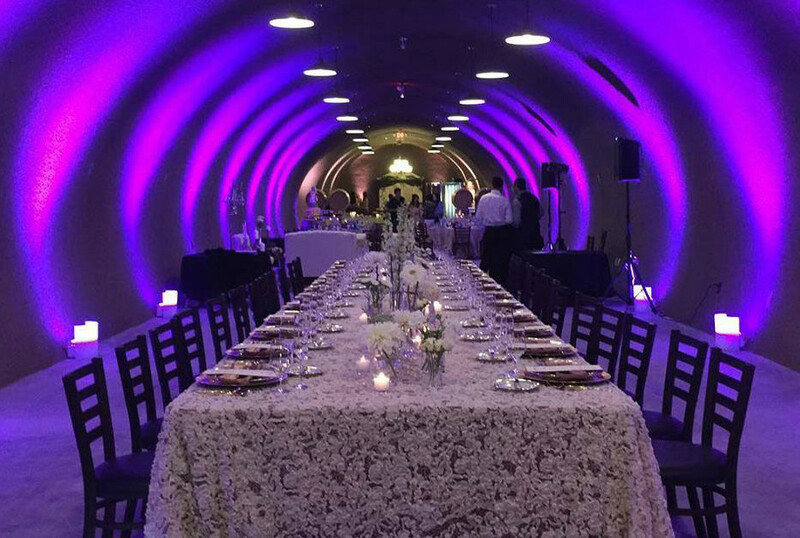 Top of the mind is the amazing Oak Mountain Caves, a hillside winery on the De Portola Trail, which is a cluster of wineries on DePortola Road. Primarily for a 1,000-barrel storage 104 feet underground, this 10,000 square foot facility with a steady 66-degree temperature does much more than store. Valerie Andrews, who founded Oak Mountain with her husband Steve, who is the winemaker, walked me through this mixed use, magical subterranean dig. “We’ll have tasting rooms down here, and the Cave Café kitchen will be ready to go the end of August,” she predicted. “Our private Cave Club members will enter an exclusive all-glass door private area with complimentary wine tasting seven days a week. Oak Mountain is up to 30 handcrafted wines to be served in the bar areas, which along with the banquet area, is still under construction. Customers can discover little known varietals like Cinsault, Mourvedre, Pinotage and Counoise. Above ground, Oak Mountain has weekly entertainment programs. On Aug. 22, an Elvis Tribute Band plays starting at noon with no admission charge, in a climate controlled pavilion. For tours and other information, contact the winery at (951) 699-9102 or visit oakmountainwinery.com. Lorimar Vineyards and Winery was realized by two brothers in-law, Lawrie Lipton and Mark Manfield. The first planting on 22 acres was Cabernet Sauvignon, followed by Syrah, Grenache, Muscat, Viognier and Sangiovese; distinctly Rhone Valley France and Tuscany Italy. In 2012, a perfect replica of an Italian villa was constructed with magnificent views of Palomar Mountain. Inside is an elegant tasting room with stone fireplace and an art gallery. What’s most exciting to me is that Lorimar and one of the valley’s most respected farmer-winemakers, Marshall Stuart, have partnered together to give rise to the Wine, Art and Music theme, evident in all that Lorimar presents. The 2012 Medley Meritage was a personal favorite. ($44; $33 for club members). For more Lorimar news access lorimarwinery.com, and for more on Temecula Valley, come back to my column for next week. Marina Kitchen in the Marriott Marquis Hotel in San Diego is presenting its next Wine Wednesday programs, with “Native Northern Italy” Aug. 26 and Coastal California Sept. 2 from 6 to 7 p.m. Cost is $20 per person, tasting included. 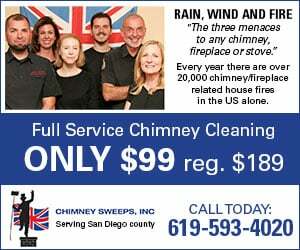 To reserve, call (619) 234-1500. Il Fornaio in Del Mar presents a Beni di Batasiolo Wine Tasting Aug. 20 from 5 to 8 p.m.; $25 per guest. Wine expert Stefano Poggi presides. Select appetizers served. Reservations at (858) 755-8876. Cork & Draft Classic is an event at Embarcadero North Park San Diego Aug. 29 from 3 to 6 p.m. Wines brews and more. Prices start at $54 but vary according to date of purchase. Event to benefit military members in need. Check it out at corkanddraft.com. WineSellar & Brasserie has a “They make wine Where? Tasting Aug. 19 in Sorrento Valley. Cost is $15. Call (858) 450-9557. Rancho Valencia in Rancho Santa Fe is the perfect setting for the great wines of Napa Valley in a Vintners Series, Sept. 4 from 7 to 9 p.m. Theme is “Valley Floor vs. Hillside.” Cost is $75. Also live music and gourmet style food stations compliment the wines, including: Tierra Roja, Round Pond Estate, Spring Mountain, and St. Supery Estate among others. Located on the beautiful Croquet Lawn. RSVP at (858) 759-6246. Frank Mangio is a renowned wine connoisseur certified by Wine Spectator. He is one of the leading wine commentators on the web. View and link up with his columns at tasteofwinetv.com and reach him at mangiompc@aol.com. Follow him on Facebook.